Special Operations is comprised of 2 subsection. Judicial Enforcement is a subsection of the Special Operations Bureau of the Charleston County Sheriff's Office. Judicial Enforcement is comprised of three separate units that work closely with many local, state, and federal agencies to accomplish common goals, including enforcing/maintaining court related orders and conducting physical arrests. The three units that comprise Judicial Enforcement are Warrants, Therapeutic Transportation, and Fugitives and Extraditions. Each unit is listed below along with a brief synopsis of the functions of each unit including frequently asked questions related to each unit's function. The Charleston County Judicial Center is part of the historically famous "Four Corners of Law" located at 100 Broad Street. This is near the corner of Broad and Meeting Streets, directly adjacent to the Historic Courthouse. The Judicial Center consists of sixteen courtrooms of the Judicial Center and the Historical Courthouse. Deputies assigned to the Security Services Unit are responsible for providing all perimeter and internal security. Security Services Deputies are in uniform and serve as the "first line of defense" of the courthouse as well as the first point of contact of all persons entering the facility. Security Services Deputies provide physical site screening by the utilization of x-ray scanners and magnetometers at entrance points. They are responsible for the screening of all persons and articles entering the courthouse. They work closely with all court assigned personnel to ensure the safety and integrity of the judicial process. To ensure the safety and integrity of the courthouse certain items are not allowed in the building. These items include but are not limited to: any and all firearms or ammunition including plastic or toy guns, explosive devices, any and all sharp instruments or weapons, also included are any items that can be used as a weapon. Signage outlining contraband is posted in the Cumberland Street Parking Garage as well as the King and Queen Street Parking Garage and in the lobby of the Judicial Center. Persons visiting the Judicial Center are asked to familiarize themselves with the list of items that are not allowed in the facility. This will speed up your screening process at the security checkpoints and allow you to continue your business within the facility in a timely manner. During the screening process any legal item that is discovered but considered to be contraband will be surrendered to the Charleston County Sheriff's Office as abandoned property. These items will not be returned to the individual unless the individual chooses to return the item to their vehicle. Cell phones are allowed in the Judicial Center and the Historic Courthouse; however they have to be placed in silent mode when in a courtroom. Although most cell phones have the ability to record and take photos, photography or videography is strictly prohibited without the written approval of the presiding Judge. 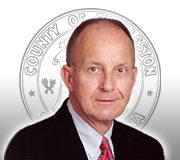 Anyone having questions concerning security of the Judicial Center including prohibited items in the courthouse, parking directions or any other general security questions please contact the Main Control Room at (843)958-2117 or 2118 or you may contact the above listed personnel during regular business hours. Any other questions regarding court proceedings or jury information you may contact the Clerk of Court at (843)958-5000 during regular business hours. Q: May I leave my pocket knife, mace or screwdriver with the deputy at the scanner? A: No, you may return the item to your vehicle or it will be considered abandoned contraband and will not be returned back to you.